We finished 2017 by walking the South Branch of the Raritan from Hoffman's Crossing down through the gorge and back again. 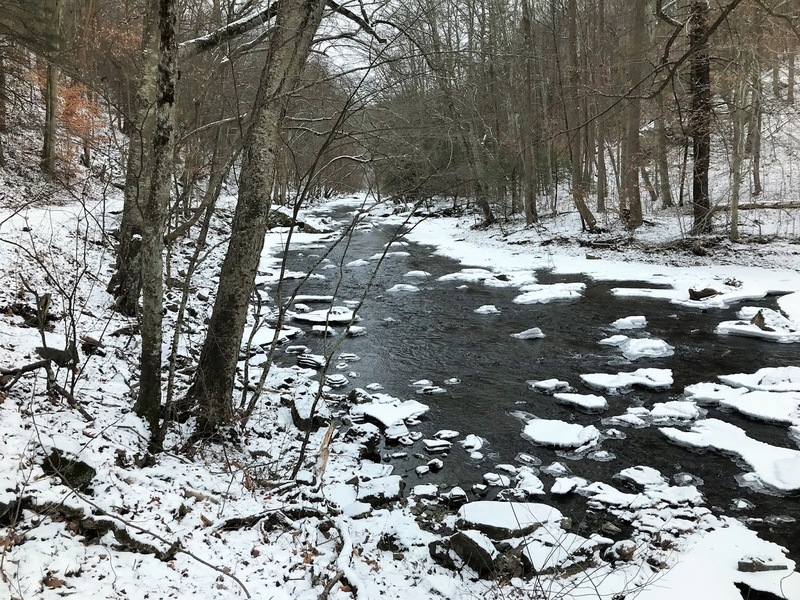 We started 2018 by walking the river from Hoffman's up stream to the pond in Califon and back. 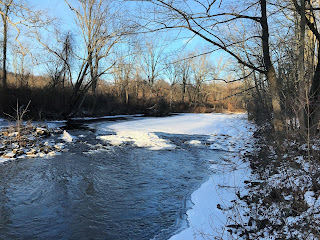 We didn't fish, it really wasn't an option, but I wanted to be on the river to enjoy its charms and think about the year past and the year to come. 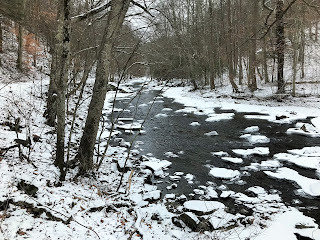 Yesterday the temperature in the gorge was 8 degrees F, today it was a comparatively balmy 19 degrees F along River Road. The pond in Califon is a skating rink with lots of kids enjoying the ice and fresh air. Sharpen your hooks and get down to the river every chance you get even if its just to hear the water flowing over and around rocks and boulders.